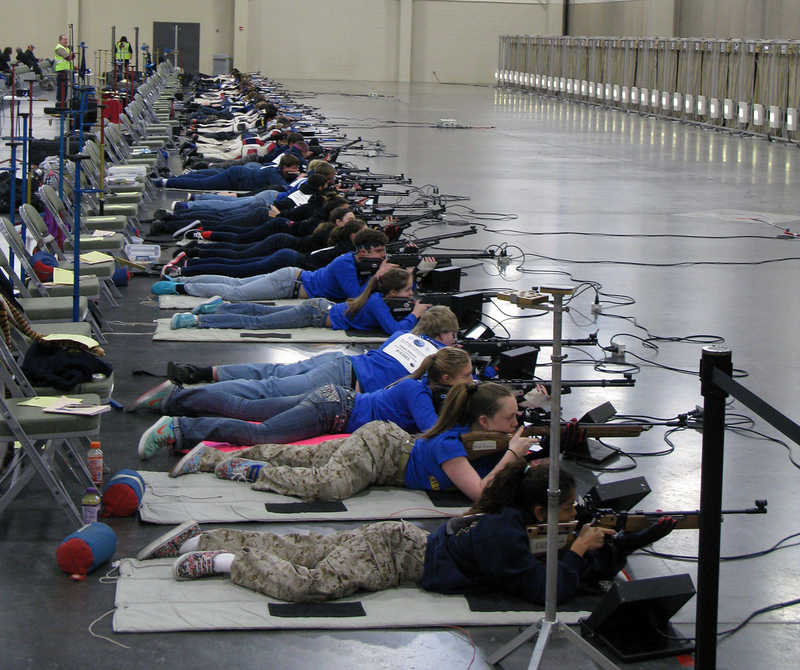 The Springville, Utah Junior Rifle Team gave it their best shot at the 2016 ODCMP Western Regional Air Rifle match held on April 1 and 2 in Sandy, Utah. From left are Jessica Boyce, Katie Boyce, Nathan Perkins, Braeden Staheli and Dallin Staheli, along with coaches Donna Warnock and Richard Warnock. Click here for the results!! University of Utah Pistol Team WINS!! 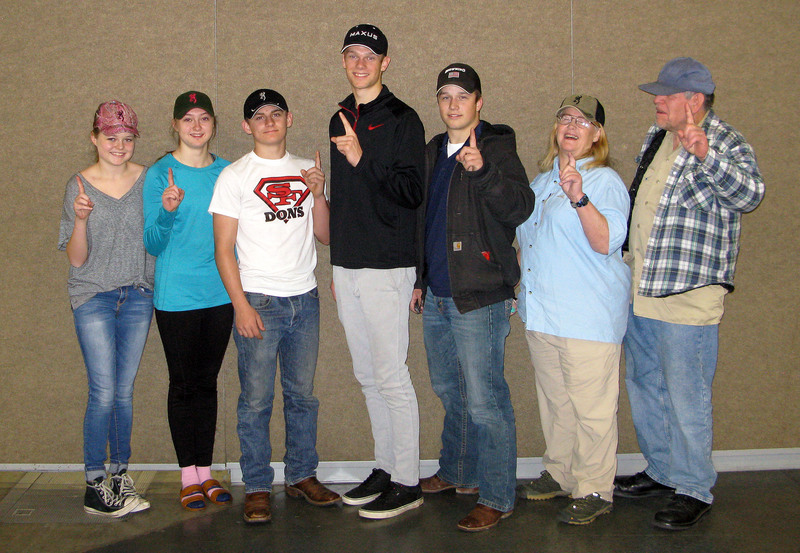 The University of Utah Pistol team won free pistol and air pistol team championships in the NRA Collegiate Nationals held last week. Wyatt Brown took first place in both air and free. Lexi Lagan placed second in Women's Sport Pistol and third in women's Air Pistol . She also took women's aggregate. Congratulations to the Team and their fine coaching staff: Matt DeLong & Elwood Powell. 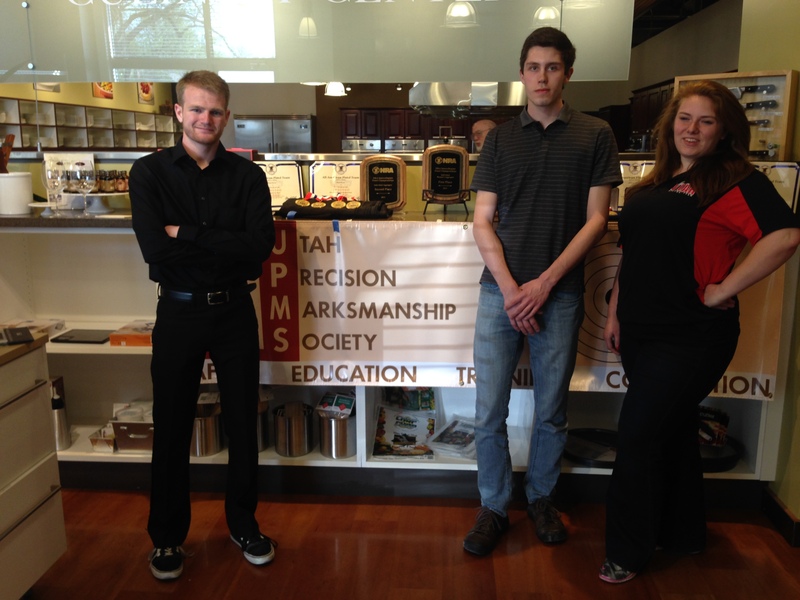 UPMS is proud to be their sponsor. 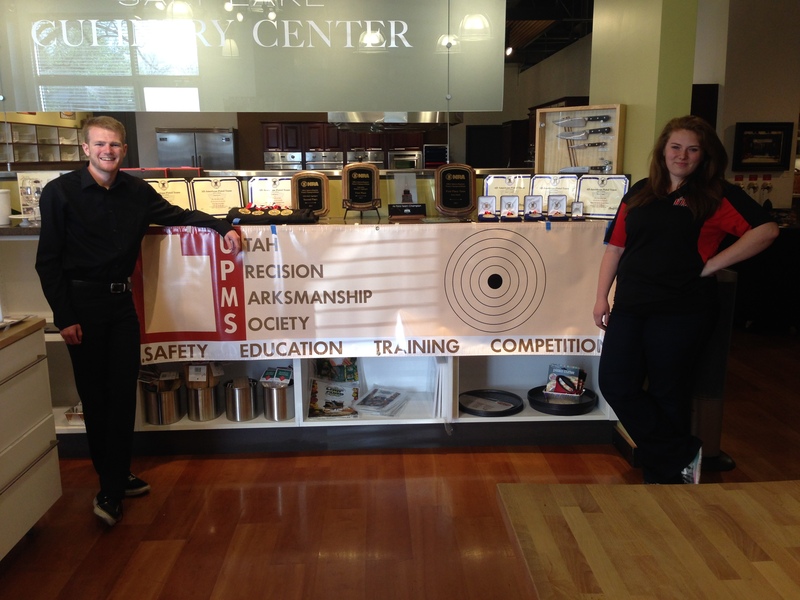 UPMS teaches college level basic Pistol Marksmanship and basic Rifle Marksmanship classes at the University of Utah. We have a terrific group of experienced instructors and assistant instructors. If you'd ever thought you'd like to instruct marksmanship please consider joining our ranks. For more information please contact me directly. The U Shooting Team has a new rifle coach! Craig Johnson has graciously committed to coach the rifle division of the U Shooting Team. Craig brings a wealth of experience and knowledge with him and we're honored he's taken the position. At the Annual Meeting held November 17th, 2014 the following UPMS members were elected to the expiring Board seats of Rich Sheya, Amanda Orfanos & Robert Maust: Leonard Wojick, Brad Collins & Rich Sheya. The Board then voted on the Executive positions where Rich Sheya was elected President for another term, Elwood (Woody) Powell was elected Vice President and Oz (Aaron) Ozminski was elected Secretary. Treasurer is not a board position but is filled by Allen Johnson. The minutes of the meeting are available to any member who wishes to read them. We could use a few more Range Officers to run the League relays. The RSO tests are open book and all the info you need can be accessed from our website www.upms.org; click on the "Information" tab then "Documents" and the entire Range Safety Officer manual is there. In order to be an RSO at the League events you need to pass the General Requirements section (20 minutes) and the NRA Pistol Events section (20 minutes). If you've been shooting in the League for a while you know most of this already just by listening to the range commands given by the RSOs. The hardest part of running a relay is figuring out the computer program and an experienced RSO will help you through that after you've passed the tests. This testing date is also open to anyone interested in helping with the University's Basic Pistol Marksmanship class and (new) Basic Rifle Marksmanship class which will be starting this fall. UPMS is in need of someone to help us go after grants to help fund our ongoing operations. If you, or someone you know, is interested in helping out please contact me at your earliest convenience. As always, if you have any questions, comments or concerns please don’t hesitate to contact me. 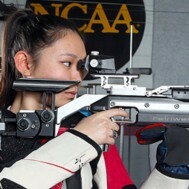 The University of Utah Pistol Team (sponsored by UPMS) did exceedingly well in the Intercollegiate Pistol Championships held at Fort Benning, Georgia. Wyatt Brown made first team All American in Air Pistol and Lexi Lagan made second team All American in Womens Sport Pistol. Lexi went on to finish 3rd overall (OVERALL!) by 1 point, with an individual aggregate score of 1604. Second place went to Frank Czerda of USNA with a score of 1605, first place went to Joseph Totts of Ohio State with a score of 1613. Lexi won the Women's Individual Aggregate by 18 points over second place and 38 points over third place. She also finished second in Open Air Pistol with a score of 561! First place went to Alana Townsend with a score of 568, third went to Anthony Veith with 559. Three of our other Collegiates, Gage Coates, Nic Flinner and Chris Bolejack shot personal bests in Air Pistol. Kudos to our excellent coaching staff: Elwood Powell, Leonard Wojcik and Matt DeLong. Well done Utes! Congratulations to our 2014 State Champs! Congratulations to our 2013 State Champs! Congratulations to the 2012 State of Utah Champions! Congratulations to the 2011 State of Utah Champions! Read more about the incredible accomplishments of our shooters in our July Newsletter! Continuing the trend from June, more personal best scores were shot at our July PTO, Don McGraw shot another personal best in the Air Pistol and Free Pistol. Don's new PB free pistol score moves him into the top 3 all time scores shot on our range. 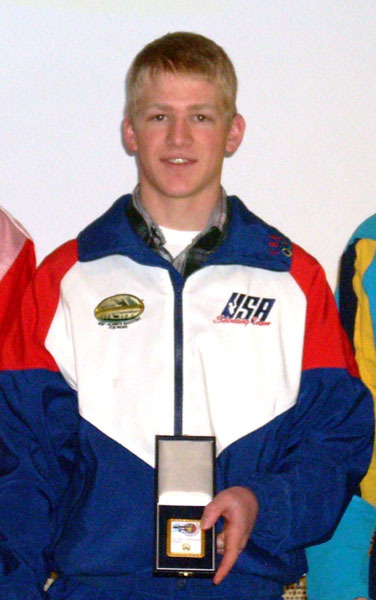 Brian Oberg set a person best in Air Pistol. Eugene Mishchenko shot a personal best in Standard Pistol. Tony Thompson set 2 new personal best scores in Standard Pistol and Center Fire. 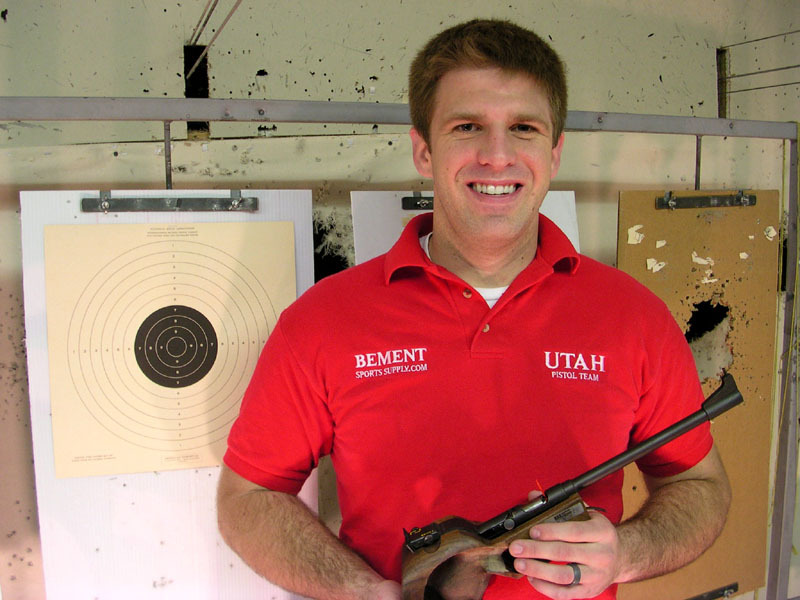 At our June PTO, the Utah Precision Marksmanship Society is pleased to have hosted the event that set several new US National Records. Arnie Vitarbo set not one, but two US National records for his age group. Matt Delong also set a new National Record his age group as well. We'd like to offer up our congratulations to these excellent precision marksmen. On another note of excellence, Don McGraw just shot his personal best on our range in the Air Pistol category. It just so happens that this score also moves Don into the top 10 scores ever shot on our range. Please congratulate Arnie, Matt and Don the next time time you see them! Lindsay Daniels, a senior graduating with a double major in international studies and sociology, as well as a minor in Arabic, is the National Champion in the Women's Air Pistol event. 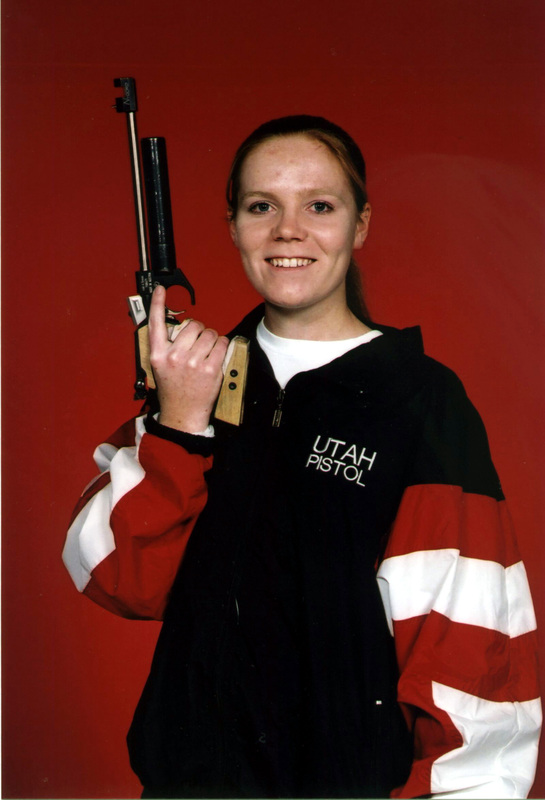 Daniels also finished fourth in the Women's Sport Pistol event. 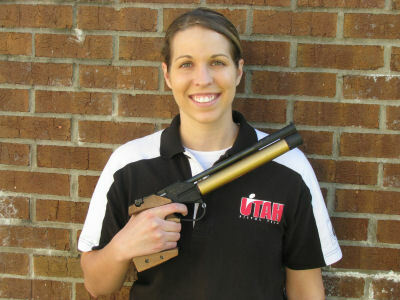 She is only the second athlete in team history to win an individual national championship in pistol shooting. Lindsay also took third place in the women's individual aggregate, the first Utah athlete to achieve this honor. Daniels took All-American honors in the Women's Sport Pistol Event. Brad Collins, a junior majoring in Mechanical Engineering, won the qualifying match in the Open Air Pistol event but dropped to second place in the Finals competition, trailing the winner by only 0.6 points out of a possible 609. Collins brought home All-American honors in the Free, Standard and Air Pistol events, only the second athlete in team history to earn that many in one year. In the team competition, the University of Utah Naval ROTC Standard Pistol team won the national championship in that event, improving their score by more than 100 points since the qualifying match a month ago that earned them a berth at Nationals and overcoming a severe deficit behind Texas A&M. The U's Air Pistol team came in second nationally, a mere six points out of 2400 behind perpetual powerhouse Ohio State. Note that this means they beat traditional powerhouses Navy, Army and MIT. 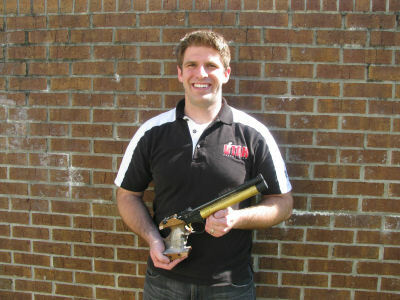 U Collegiate Pistol Member Brad Collins, a junior in Mechanical Engineering, swept all three of the events in which he was entered at the Preliminary Tryout for the US National Pistol Team competition held this past weekend at the U. The competition had to be extended to Monday night because Collins ended in a tie with former US Navy shooter Robert Maust. Both shot 557 out of a total of 600 in the Air Pistol event. (For calibration, the winning score at the National Inter-collegiate Pistol Championships this year was 560.) The Finals competition was not decided until the final shot when Collins came out ahead by one tenth point out of a possible 109! In the Free Pistol event, Collins handily beat Ron Morales, who came all the way from Sacramento CA for the competition. Collins's score was 498 out of 600 and would have qualified him to compete in Collegiate Nationals. These scores also put Collins well on the way to achieving All-American honors in all three events. The women's events were dominated by Lindsay Daniels, a senior in International Studies who spent the summer studying in Jordan. Jordan fired 342 out of 400 in the Women's Air Pistol event and 516 out of 600 in Women's Sport Pistol. 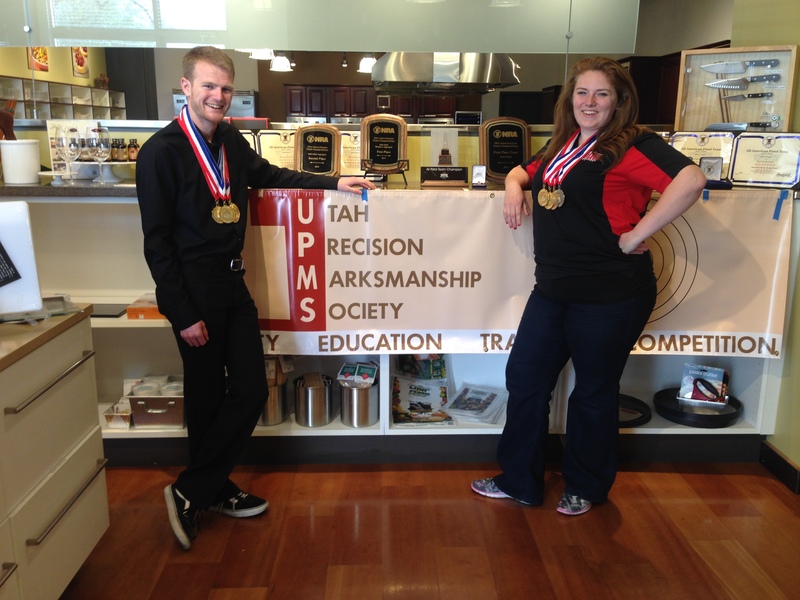 The Utah Precision Marksmanship Society (UPMS) is a tax-exempt, publicly supported, non-profit 501(c)(3) orporation founded to support amateur athletics, particularly the shooting sports. We are actively involved in: education, training, and competition. Our primary competitive activities are International and NRA Conventional-style bullseye pistol shooting. For a listing of our upcoming competitions, see the latest match schedule. 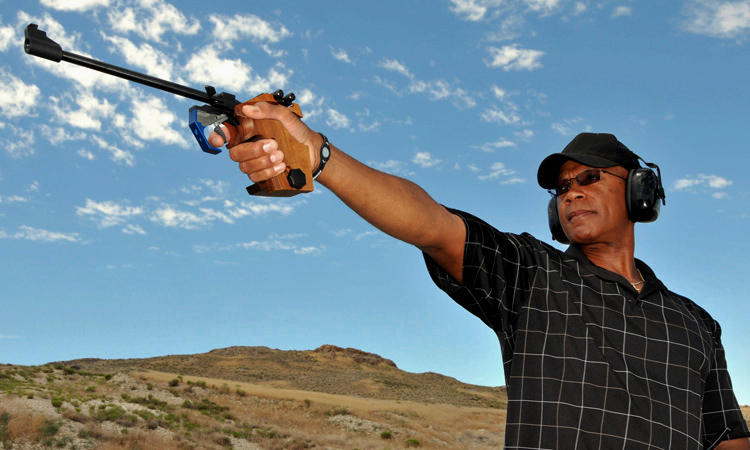 Our Utah Shooting Guide lists contacts for shooting groups, instructors in various disciplines and locations of shooting ranges around the state. For additional information, contact Rich Sheya.